Are you looking for ways to be inspired and hopeful as a stepmom? Are you tired of feeling like the outsider in your own home, wondering when, if ever this will get better? Are there days when you ask yourself…. “How will I get through this? When you feel that life is throwing you a curve ball and you’re not sure where to go, take a moment to read a few inspirational quotes that will guide you to your inner wisdom. They’ve helped and inspired me along my own stepmom journey. 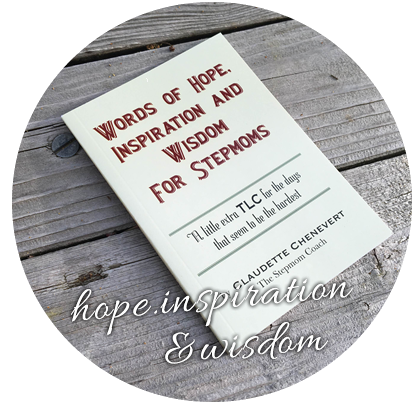 This wonderful mini book “Words of Hope, Inspiration and Wisdom for Stepmoms” is filled with great quotes, inspirations and words of wisdom that many stepmoms around the world have enjoyed and shared with others. This mini book is sure to become one of your favorite tools to uplift you through some of the challenges that being a stepmom can be. To get your e-version of this mini book for immediate download, just fill in your name and email and you will receive it your email box. When you feel that life is throwing you a curve ball and you’re not sure where to go, take a moment to read a few inspirational quotes that will guide you to your inner wisdom.